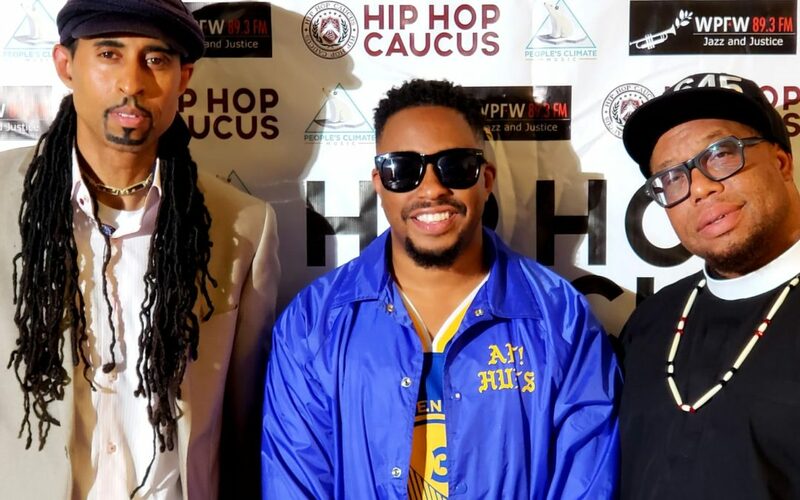 On Episode 18, we have three-time Grammy-nominee, singer, songwriter, and humanitarian, Raheem DeVaughn joining us to discuss the power of culture to improve our communities and planet. He’s been a long-time climate justice advocate and has done some great work over the years, including joining Hip Hop Caucus’ Climate Campus Tour and recording an amazing track for the People’s Climate Music Heal Our Mother Earth (H.O.M.E.) album. 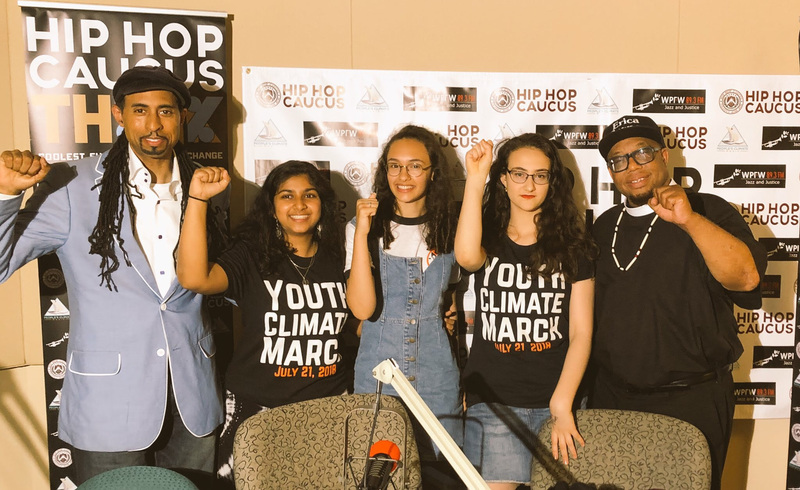 ICYMI: last week we had three amazing young leaders from Zero Hour on the show to talk about the Youth Climate March that took place this past Saturday in cities around the world. Our Think 100% team was on the ground at the event on the National Mall in D.C. and truly moved by the energy and focus of the thousands of young people stepping up for just solutions to climate change. This weekend was more than a moment; it was the beginning of a movement. We can’t wait to see what’s next from our friends and urge everyone to check out some of their powerful words on the show last week (1. bearing the burden, 2. paradigm shifting, 3. we can’t live in the moment if we’re worried about life and death). Think 100% challenges environmental injustices and shares just solutions to climate change, including a transition to 100% clean energy for all. The show is hosted by national civil and human rights, and environmental and climate leaders, Rev. Lennox Yearwood Jr., Dr. Mustafa Santiago Ali, and Grammy-Nominated Singer & Actress, Antonique Smith. Guests include leaders from communities on the front-lines of climate change, elected officials who are boldly leading, and cultural creators and artists who are reaching hearts and minds. 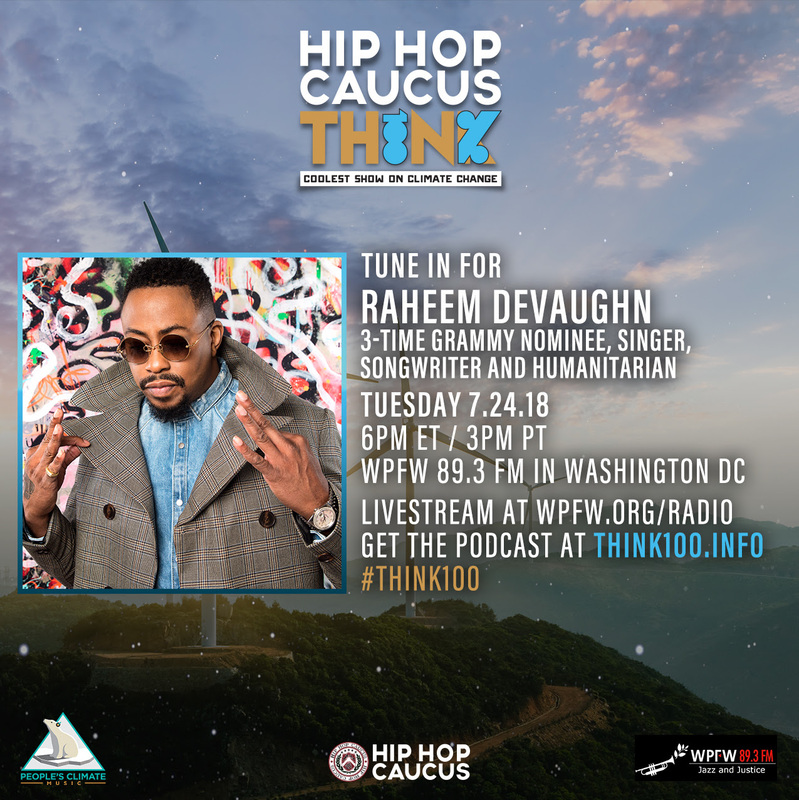 Tune in and join the conversation on social media using #Think100 and tag us @Think100Show and @HipHopCaucus.